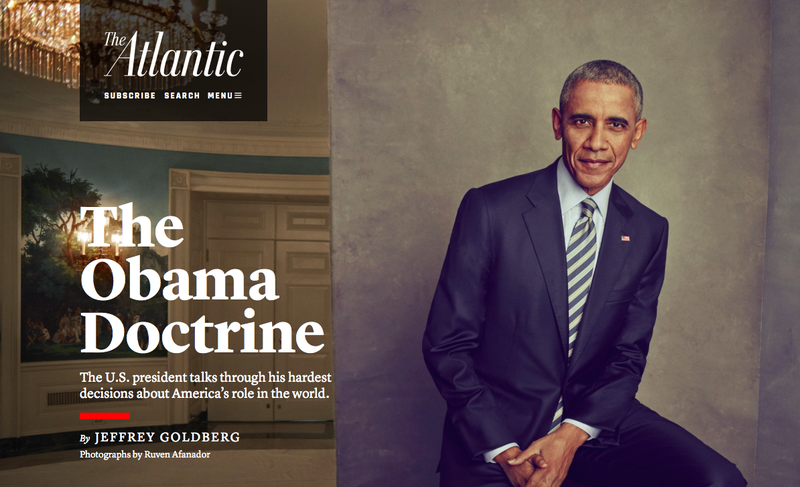 Jim Meyer's Borderlands: Looking at the Bright Side of the "Obama Doctrine"
A large part of the Atlantic piece related to Obama's decision to walk back his earlier rhetoric regarding the Assad regime's alleged crossing of the so-called "red line." This was a reference to the White House threat the Assad regime's use of chemical weapons would cross a "red line" that would supposedly tip the Obama administration toward taking military action against Damascus. I had thought that drawing a "red line" was a terrible idea in the first place, so I was quite glad when Obama changed his mind about attacking Syria. In any case, the White House eventually walked back from this apparently not-so red line. 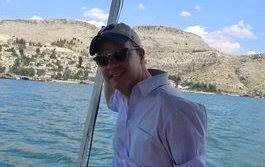 While some of the administration's critics think that the US "lost face" by not sticking to its guns and getting more involved in yet another war in the Middle East, I thought that the deal that was eventually worked out--having Russia take possession of Syria's chemical weapons--was exponentially preferable to the prospect of a major escalation in the US role in the conflict. 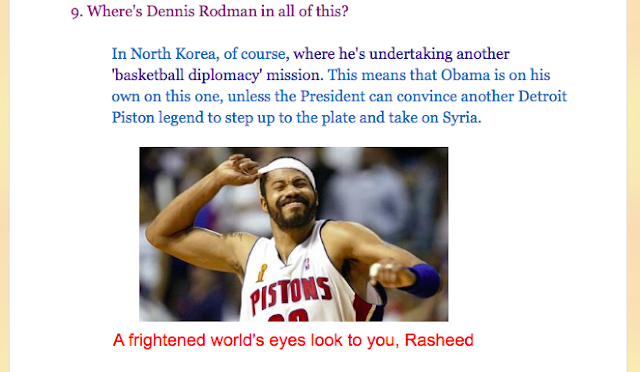 In particular, I liked the fact that Obama didn't seem to care what his critics thought about this about-face. Unlike some other politicians who would like to be president, Obama didn't place his own consistency above what he considered to be American interests. Actually, I'd say there is a choice. And Obama, I think, eventually made the right one. 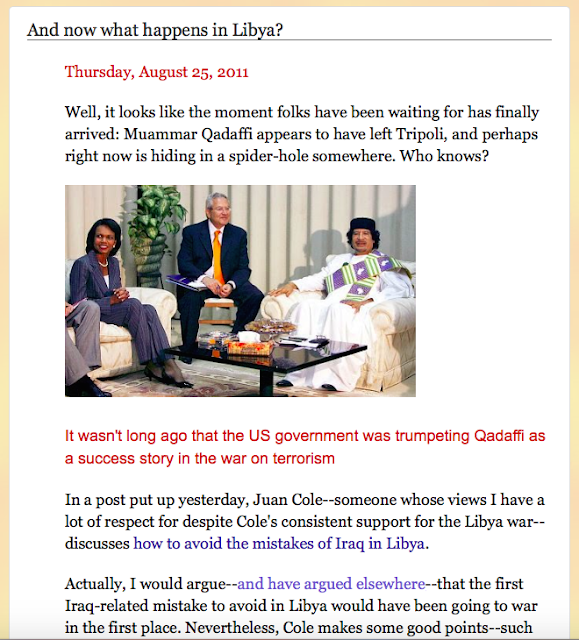 I was also critical of the Obama administration's decision to go for regime change in Libya in 2011. At the time, I wondered, why did so many people think it would be a good idea to overthrow another Middle Eastern tyrant when we don't have a real plan for managing what would come next? In his interview with the Atlantic, Obama said of the intervention, "It didn't work." And a mess it is. I'm glad to see that at least one person who was involved in the US decision to get involved in overthrowing Qadaffi is at least owning up to this. 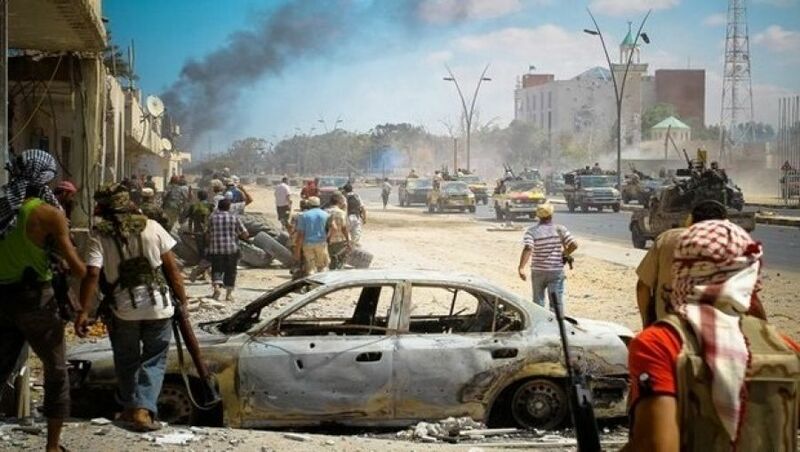 Libya to world: Remember us? That being said, I wonder how the people whose lives were upended by these policies must feel when they hear that it was all a big mistake. 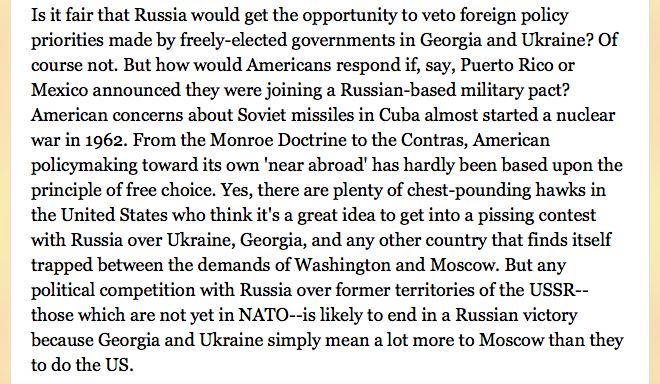 I also liked much of what I read in the Atlantic piece about Obama's attitude toward Russia. I think it's actually a good thing that Obama didn't hyperventilate in response to developments taking place in Crimea and eastern Ukraine. Furthermore, I agree with Obama's argument that Ukraine is a core Russian interest but not an American one, so Russia will always be able to maintain escalatory dominance there." 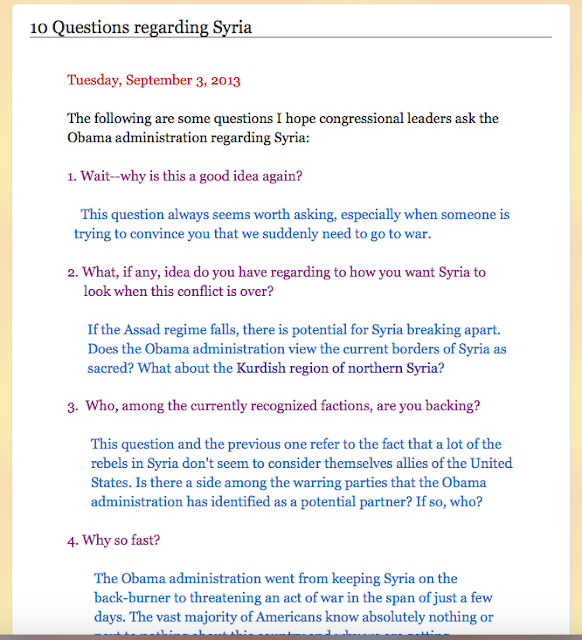 In recent National Security Council meetings, Obama’s strategy was occasionally referred to as the “Tom Sawyer approach.” Obama’s view was that if Putin wanted to expend his regime’s resources by painting the fence in Syria, the U.S. should let him. Obama has been far from perfect, but I frankly think that if anyone else running for president in 2008 had been elected, the United States would be much worse off today from a foreign policy standpoint. Going to war, or threatening to do so, simply in order to avoid losing face has got to be one of the stupidest and most destructive acts that a politician can undertake. While I think that drawing a "red line" regarding Assad's actions in the first place was a bad idea, at least Obama had the sense to walk this back before it was too late. And while American policymaking vis-a-vis Russia has hardly been ideal, there are real differences between following national interests and competing with Russia for the sake of competing. At a time when many of Obama's critics were calling for red meat, the US president was, in fact, presidential in his handling of the crises taking place between Ukraine and Russia. Working in an intelligent way to get concrete results might not be the sexiest or most satisfying response to a crisis, but I prefer it over vacuous chest-pounding anytime. So, it could be a lot worse. But some things could also be better, about which I hope to write soon. 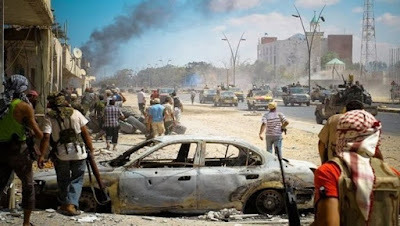 And now what happens in Libya? Like the Borderlands? You'll love the book. 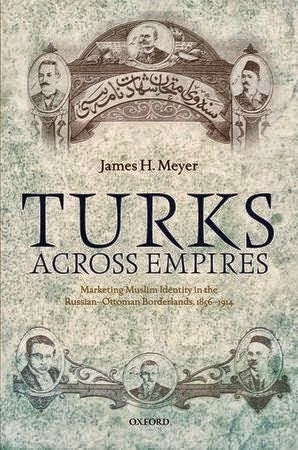 Order a copy of Turks Across Empires for yourself--or your library--today.